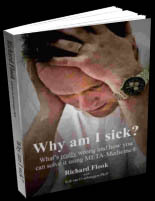 Have you ever wondered why you become sick? Do you think it would help you to know? If so read on. Research has found that significant emotional experiences always precede disease. So if in almost every major illness there is a link to chronic stress - then which stressful event causes a pain, an ailment, a disease or cancer? Conventional medicine can't tell you. However META-Medicine® can show you the very precise organ-mind-brain-social connection. Each area of our brain corresponds to a specific organ and a specific conflict or trauma and an environmental-social experience. It means our organism and specifically the organ-mind connection is far more “hardwired and bio-logically organised” than we have thought in the past. Just imagine how much more precise and quick a holistic diagnosis will be, if we know the exact organ-mind-brain-social connection. Additionally all therapies can be applied more efficiently and successfully, because we understand the cause, process and meaning of symptoms and can therefore support the healing process instead of working against it.